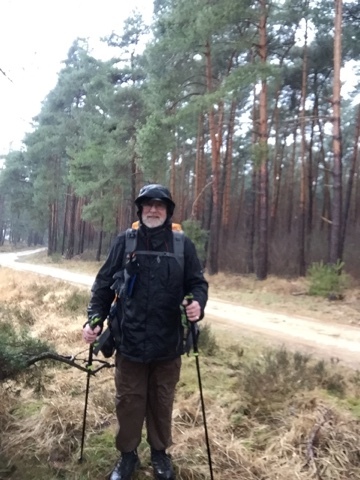 Since the beginning of February and well into March I have been in training mode, training to walk the Camino Via de la Plata from Seville to Santiago de Compostella. This involved at the start putting a pack on my back with 14 kilos of equipment and going out for a hike at least three times a week. The other two days of the week I did gymnastics and strength training at home. I had done very little exercise since returning from North America, so I started slowly and with short distances. 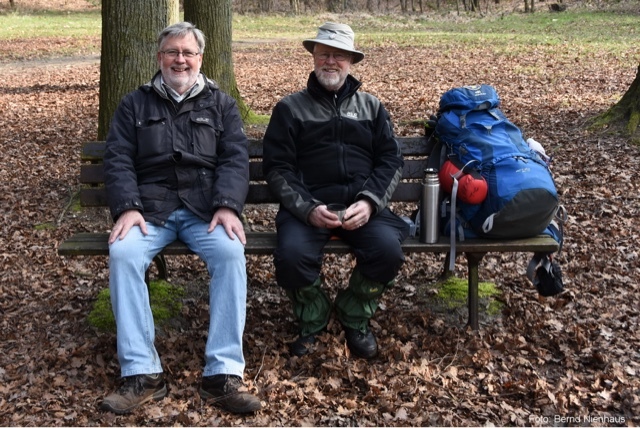 Unlike last year I decided not to go on an exercise pilgrimage, but decided to go out into the woods and National Parks on the Dutch German border on a daily basis. This was undoubtedly one of my better decisions. Not just because it saved me money, but because through my Facebook comments about my walks, I gained a new and firm hiking friend. Bernd is actually the father of one of my former English Students, which is how we became Facebook friends. But he went a step further by inviting me to hike with him. I don't mind hiking alone, and on many days I do enjoy it, but it is more fun to hike with a friend. 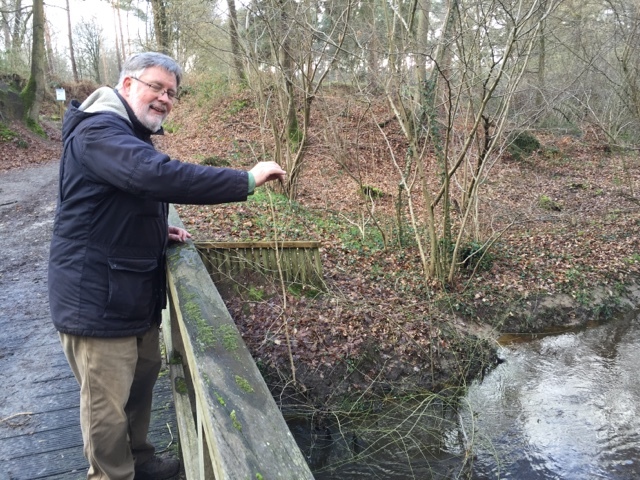 Bernd is also a Nature Conservancy expert and can tell the birds by their song. He also laid and blazed many of the nature trails in the woods around here. Consequently he is a mine of information, which makes walking with him so enjoyable. So it was that I learned that many of the boxes I saw on the trees are not just bird nesting boxes, but for bats as well. He showed me "Myrica gale" or "Bog Myrtle" and explained how it was used in ancient times, for brewing instead of hops, just to mention some of the detail you will hear should you have the pleasure of walking with him. In fact you can hire him as a trail guide, something he enjoys doing too. 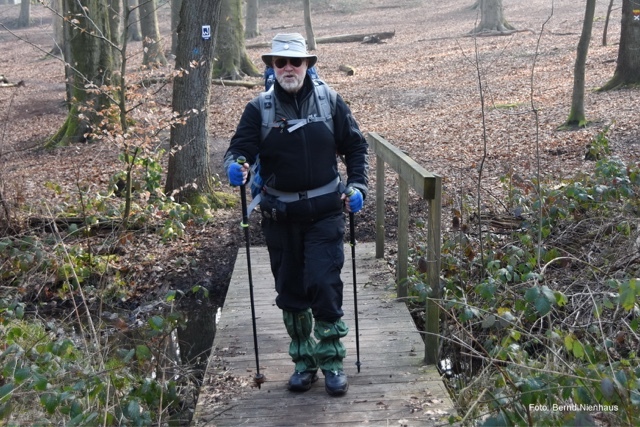 Thanks to his knowledge of the woods around here, he worked out some new routes for me to hike and so I worked up from 15 through 18, 23 and 28 kilometres trails to just over 30 kilometres. In return I taught him how to play "Poo sticks"! My walking also involved trying out new gear. 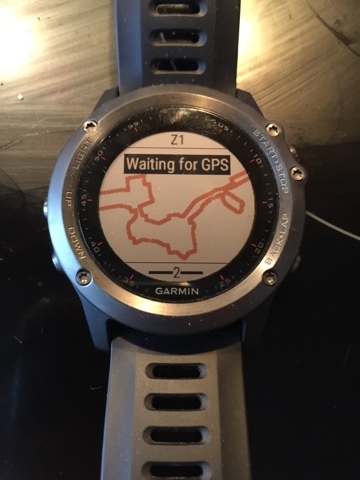 In particular my Garmin GPS watch. One can download the GPS details for routes as you can see above and thus it is a simple thing to follow the route. The route you see is my 30 kilometre route and one can enlarge the scale so it shows clearly when to turn left or right. Through Bernd I got interested in also using my iPhone with a Map App to navigate by. 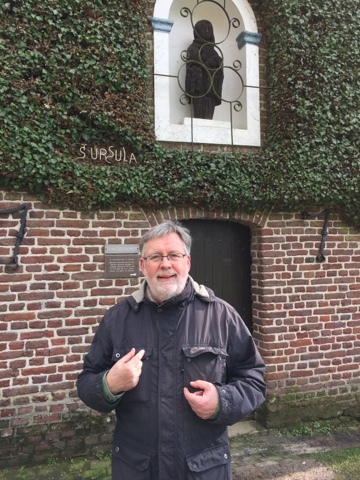 Bernd's favourite one, OsmAnd, did not work so well on the iPhone, it seems to work better on the Android system, so I now use Pocket Earth which works a treat for me. I now have all the GPS coordinates for the route from Seville on both my Watch and Pocket Earth App, so cannot get lost! My exercises and working with these tools showed that continuous use over an eight hour period really uses up battery power, so I should not aim to walk further than 30 kms in one day if I want to continue to use these gadgets. Since I happen to have a battery pack for charging up phones, which I found works on the watch as well, I will take that with me, just in case. It was not always fun to be out, especially when it rained, but rain did not stop play. 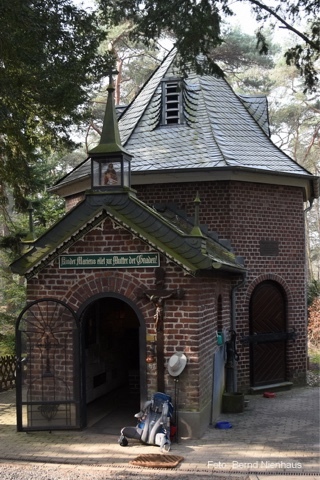 I sang the Pilgrim's Hymn in this Chapel to Mary, Bernd took me to, on one day. 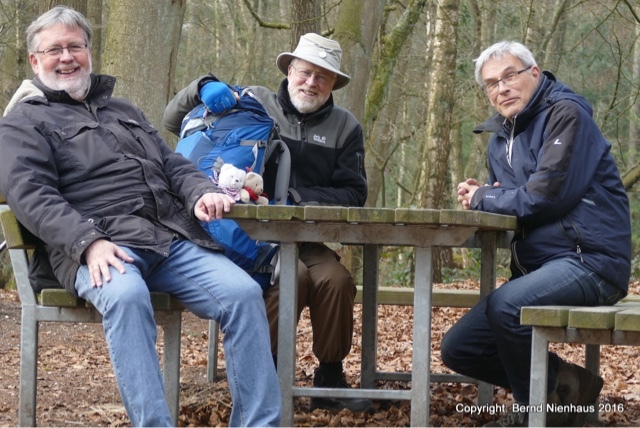 On another day Bernd invited me to walk with him and his Dutch friend, Wilbert, who is also a nature conservancy expert and a guide for the Dutch side of the border. 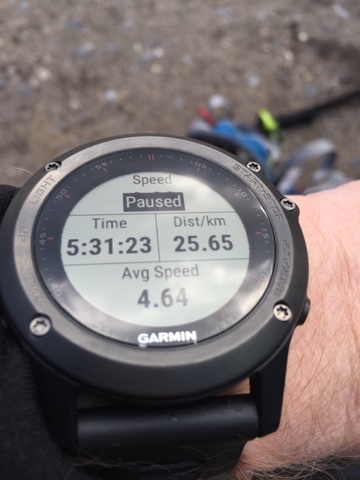 My training culminated in a five days of continuous hiking of 28 kilometres at the start and ending with two days of walking 30 kilometres. Thus I relearned old lessons and made new discoveries about equipment that will stand me in good stead. One old lesson relearned was that I hate squatting behind a tree or going "Mutter Grün" as one might say in German! My knees complain bitterly and it can only be done in an emergency. 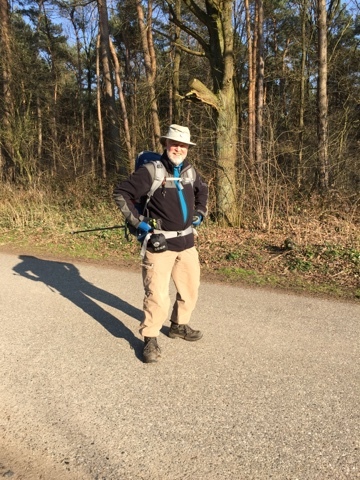 I have now trial packed my rucksack for the Camino and without food or water it weighs just 10.6 kilos which is a super achievement for a heavy infantry soldier! 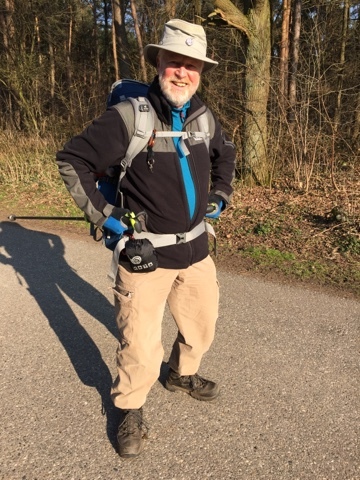 Walking the Camino is an activity anyone can do, especially if they adopt the "superhero pose" before hand. The Bears and I are Camino ready! 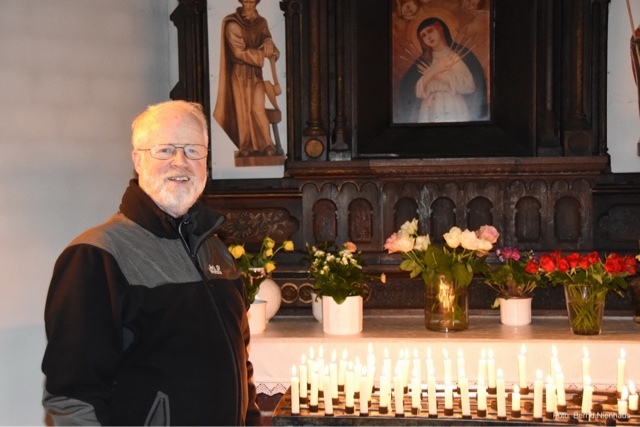 I wish all my friends and readers a very Happy Easter. As Harpe Kerkeling might say, "ich bin dann nochmal weg"! Or put another way, I am going out for a walk and maybe some time.